Winner of Backpacker Editors' Choice Award, Runner’s World Gear of the Year Award, and ISPO Gold Awards! 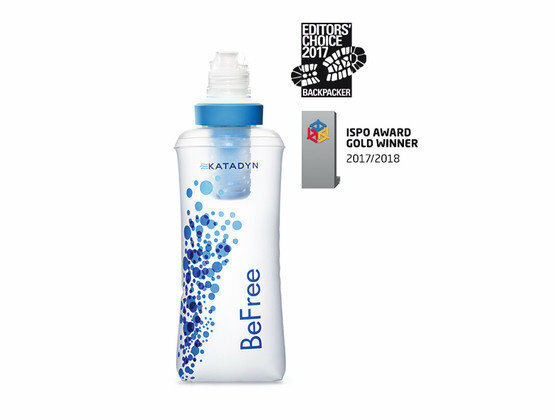 The lightweight and compact Katadyn BeFree water bottle and filter gives you the freedom to drink anytime, anywhere. 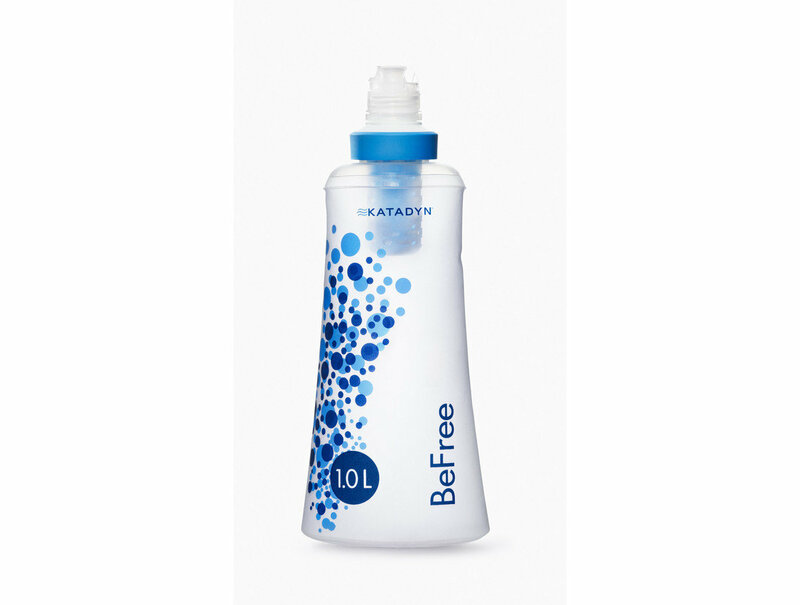 With the BeFree™ Filter, you no longer have to worry about where your next drink will come from. Just fill up the flask and let the EZ-Clean Membrane™ do the work. Gently squeeze the flask for instant refreshment. Maintain the EZ-Clean Membrane™ quickly and easily for longer life and more enjoyment. Simply fill the flask with water, attach the cover and shake free the debris. Or, remove the filter from the flask and swish in any lake, river or stream. And when you’re ready to “hit the road,” the collapsible flask packs small to fit into tight spaces. Just Smash, Stash and Go! Worry less, Discover more, BeFree. Website by Bad Bunny Designs. © Just Roughin' It Adventure Company 2019.